Readers of fiction often complain that a book didn’t keep their interest, that the characters, story and/or writing just didn’t grab them. Today’s readers have shorter attention spans and so many more books to choose from. Most of them/us don’t have the time or patience for the lengthy descriptive passages, long, convoluted “literary” sentences, detailed technical explanations, author asides, soap-boxing, or the leisurely pacing of fiction of 100 years ago. Besides, with TV, movies, and the internet, we don’t need most of the detailed descriptions of locations anymore, unlike early readers who’d perhaps never left their town, and had very few visual images of other locales to draw on. Ditto with detailed technical explanations – if readers want to know more, they can just Google the topic. Here are some concrete techniques for accelerating your narrative style at strategic spots to create those tense, fast-paced scenes. ~ Condense setup and backstory. To increase the pace and overall tension of your story, start by cutting way back on setup and backstory. Instead, open with your protagonist in an intriguing scene with someone important in his life or to the story, with action, dialogue, and tension. Then marble in only the juiciest bits of the character’s background in tantalizing hints as you go along, rather than interrupting the story for paragraphs or pages to fill us in on the character’s life — which effectively eliminates a lot of great opportunities to incite reader curiosity and add intrigue with little hints and enticing innuendos. ~ Include hints at questions, secrets, worries, fears, indecision, or inner turmoil to every scene. This will keep readers curious and worried, so emotionally engaged and compelled to keep turning the pages. ~ In general, develop a more direct, lean writing style. Be ruthless with the delete button so your message and the impact of your story won’t get lost in all the clutter of superfluous words and repetitive sentences. I cover lots of specific techniques with examples for cutting down on wordiness in my book, Fire up Your Fiction. ~ Rewrite, condense, or delete chapters and scenes that drag. Do you have slow-moving “filler” scenes, with little or no tension or change? Reduce any essentials from the scene to a paragraph or two, or even just a few sentences, and include it in another scene. ~ Keep chapters and scenes short. This will help sustain the readers’ interest and keep them turning the pages. James Patterson is a master at short chapters, and his followers seem to really like that. Especially effective for reluctant or busy readers. ~ Start each scene or chapter as late as possible, and end it as early as possible. Don’t open your chapters with a lengthy lead-up. Every scene and chapter should start with some kind of question, conflict, or intrigue, to arouse the curiosity of the reader and make them compelled to keep reading. And don’t tie up the events in a nice, neat little bow at the end – that will just encourage the reader to close the book rather than to keep reading in anticipation. Instead, end in uncertainty or a new challenge. ~ Limit explaining – Show, don’t tell. Keep descriptive passages, expository passages, and ruminations, reflections and analyses to a minimum. Critical scenes need to be “shown” in real time, to make them more immediate and compelling, rather than “telling” about them after the fact. Use lots of action, dialogue, reactions, and thoughts. And keep the narration firmly in the viewpoint character’s voice – it’s really his/her thoughts, observations, and reactions to what’s going on. ~ Use summary to get past the boring bits, or skip ahead for effect. Summarize in a sentence or two a passage of time where nothing much happens, to transition quickly from one critical scene to the next: “Three days later, he was no further ahead.” Skip past all the humdrum details and transition info, like getting from one place to another, and jump straight to the next action scene. ~ Make sure every scene has enough conflict. In fact, every page should have some tension, even if it’s questioning, mild disagreement, doubts, or resentments simmering under the surface. Remember that conflict and tension are what drive fiction forward and keep readers turning the pages. ~ Every scene needs a change of some kind. No scene should be static. Throw a wrench in the works, make something unexpected happen. Add new characters, new information, new challenges, new dangers. And the events of the scenes should be changing your protagonist in some way. Change produces questions, anticipation, or anxiety — just what you need to keep reader interest. For fast pacing and more tension and intrigue, end most scenes and chapters with unresolved issues, with some kind of twist, revelation, story question, intrigue, challenge, setback or threat. Prolonging the outcome, putting the resolution off to another chapter piques the readers’ curiosity and makes them worry, which keeps them turning the pages. ~ Employ scene cuts or jump cuts. Create a series of short, unresolved incidents that occur in rapid succession. Stop at a critical moment and jump to a different scene, often at a different time and place, with different characters – perhaps picking up from a scene you cut short earlier. Switch chapters or scenes quickly back and forth between your protagonist and antagonist(s), or from one dicey, uncertain situation to another. And of course, don’t resolve the conflict/problem before you switch to the next one. ~ Use shorter paragraphs and more white space. Short paragraphs and frequent paragraphing create more white space. The eye moves down the page faster, so the mind does, too. This also increases the tension, which is always a good thing in fiction. ~ Use rapid-fire dialogue, with conflict, confrontations, power struggles, suspicion. For tense scenes, use short questions, abrupt, oblique or evasive answers, incomplete sentences, one or two-word questions and responses, and little or no description, deliberation or reflection. ~ Use powerful sentences with concrete, sensory words that evoke emotional responses. Utilize the strongest, most concrete word you can find for the situation. Avoid vague, wishy-washy or abstract words, and unfamiliar terms the reader may have to look up. Concentrate on evocative, to-the-point verbs and nouns, and cut way back on adjectives, adverbs and prepositions. ~ Vary the sentence structure, and shorten sentences for effect at tense moments. Shorter sentences give a pause, which catches the attention of the reader. At a critical moment, don’t run a bunch of significant ideas together in one long sentence, as they each will be diminished a bit, lost in among all the other ideas presented. You can also go to a new line for the same effect. 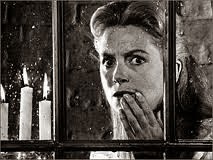 For a fast-paced, scary scene, use short, clipped sentences, as opposed to long, meandering, leisurely ones. Sentence fragments are very effective for increasing the tension and pace. Like this. It really works. Especially in dialogue. 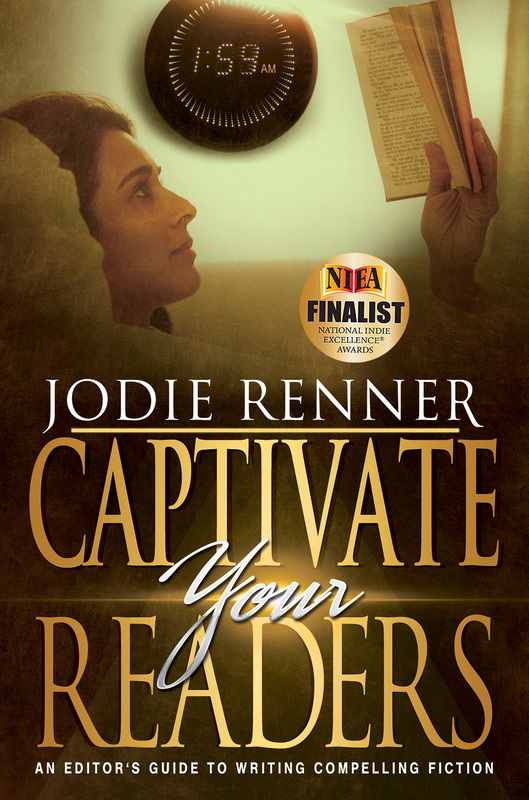 For more tips with examples for picking up the pace, check out my editor’s guides to writing compelling fiction, Writing a Killer Thriller and Fire up Your Fiction and the upcoming Captivate Your Readers. Jodie’s editing website. Jodie’s author website. Jodie’s Amazon Author Page. Friend Jodie on Facebook. Follow Jodie on Twitter. Google+. Jodie’s blog. If you’re relatively new at writing fiction for publication, whether you plan to publish your novel yourself or query agents, it’s a good idea (essential, really) to get your manuscript edited by a respected freelance fiction editor, preferably one who reads and edits your genre. Can’t afford it, you say? I say you can’t afford not to, but below you’ll find lots of advice for significantly reducing your editing costs, with additional links at the end to concrete tips for approaching the revision process and for reducing your word count without losing any of the good stuff. Editing fees vary hugely, depending on the length and quality of the manuscript, and how much work is needed to take it from “so-so” or “pretty good” to a real page-turner that sells and garners great reviews. Before approaching an editor, hone your skills and make sure your story is as tight and compelling as you can make it – and that it’s under 100,000 words long. 70-90K is generally preferred for today’s fiction. Don’t be in a hurry to publish your book before it’s ready. If you rush to publish an early draft, you could do your reputation as a writer a lot of damage. Once the book is out there and getting negative reviews, the bad publicity could sink your career before it has had a chance to take off. It’s important to open your mind to the very real possibility probability that your story could use clarification, revising, and amping up on several levels, areas that haven’t occurred to you because you’re too close to the story or are simply unaware of key techniques that bring fiction to life. First, write freely, then step back, hone your skills, and evaluate. First, get your ideas down as quickly as you can, with no editing – write with wild abandon and let your muse flow freely. But once you’ve gotten your story down, or as far as your initial surge of creativity will take you for now, it’s a good time to put it aside for a week or three and bone up on some current, well-respected craft advice, with your story in the back of your mind. Then you can re-attack your novel with knowledge and inspiration, and address any possible issues you weren’t aware of that could be considered amateurish, confusing, heavy-handed, or boring to today’s sophisticated, savvy readers. Now’s the time to read a few books by the writing “gurus” (here’s an excellent list), and some of the great craft-of-writing posts by The Kill Zone’s contributors in the TKZ Library (in the sidebar on the right), and maybe join a critique group (in-person or online) and/or attend some writing workshops. Then, notes in hand, roll up your sleeves and start revising, based on what you’ve learned. If you then send your improved story, rather than your first or second draft, to a freelance editor, they will be able to concentrate on more advanced fine-tuning instead of just flagging basic weaknesses and issues, and will take your manuscript up several more levels. Not only that, you’ll “get” the editor’s suggestions, so the whole process will go a lot smoother and be more enjoyable and beneficial. 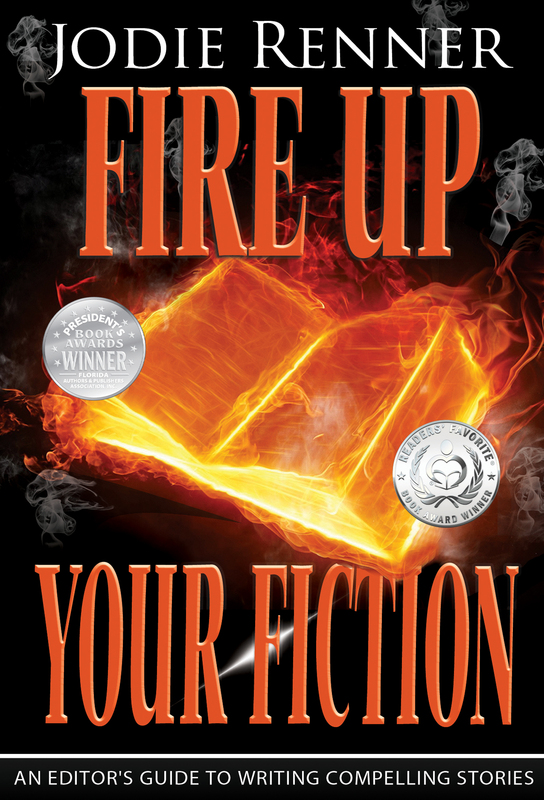 A great book to start with is my short, sweet, to-the-point editor’s guide to writing compelling stories, Fire up Your Fiction. 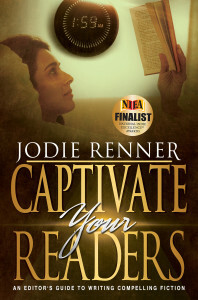 And for more on point of view, avoiding author intrusions, and showing instead of telling, peruse Captivate Your Readers. 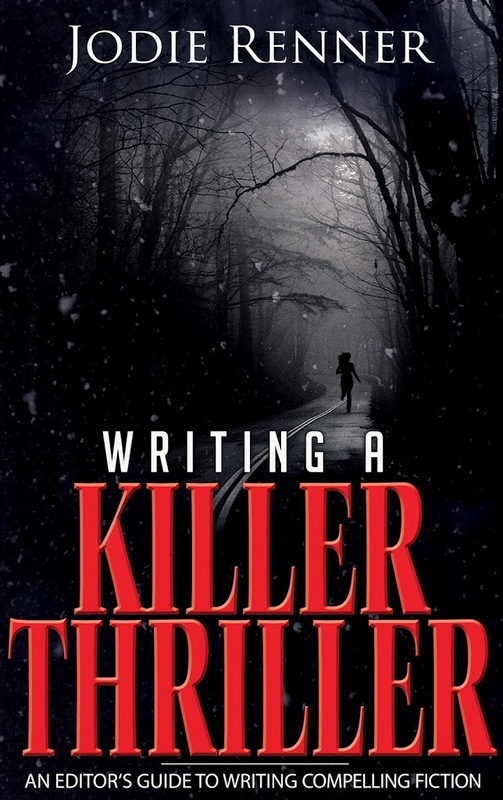 And if you’re writing a thriller or other fast-paced story, check out my Writing a Killer Thriller for more great tips. All three are available in print or e-book, which you can also read on your computer, tablet, or smartphone. And when it comes time to find a freelance editor, don’t shop for the cheapest one and insist that your manuscript only needs a quick final proofread or light edit. That approach will result in a cursory, superficial, even substandard job, like painting a house that’s falling over and needs rebuilding, and will actually end up costing you more money in the long run. Why? Because you could well be unaware of how many structural, content, and stylistic weaknesses your story may contain, which should be addressed and fixed before the final copyedit stage. Paying for a basic copyedit and proofread on a long, weak manuscript, only to find out later it needs a major overhaul, which will then require rewriting and another copyedit, is short-sighted — and money down the drain. Say, for example, your novel is a rambling 130,000 words long. It’s very likely you need to learn to focus your story, cut down on descriptions and explanations, eliminate or combine some characters, maybe delete a sub-plot or two, plug some plot holes, fix point-of-view issues, and turn those long, meandering sentences and paragraphs into lean, mean, to-the-point writing. Not only will this make your story much stronger and more captivating, but it will save you a bundle on editing costs, since freelance editors charge by the word, the page, or the hour, and editing your 80,000-word, tighter, self-edited and revised book will cost you a whole lot less than asking them to slug through 130,000 words written in rambling, convoluted sentences. Your story may even need a structural or developmental edit. If you’re at the stage where you know it’s not great but you’re too close to your story to pinpoint the weaknesses, perhaps you should hire a developmental editor to stand back and take a look at the big picture for you and give you a professional assessment of your manuscript’s strengths and weaknesses. Or if you can’t afford a developmental editor, try a critique group or beta readers – smart acquaintances who read a lot in your genre – to give you some advice on your story line and characters, and flag any spots where the story lags or is confusing or illogical. Enlist help to ferret out inconsistencies and inaccuracies. You don’t want to lose reader trust and invite bad reviews by being careless about facts and time sequences, etc., either. Find an astute friend or two with an inquiring mind and an eye for detail and ask them to read your story purely for logistics. Do all the details make sense? How about the time sequences? Character motivations? Accuracy of information? For technical info, maybe try to find an expert or two in the field, and rather than asking them to plow through your whole novel, just send them the sections that are relevant to their area of expertise. It’s even possible that you’ve based your whole story premise on something that doesn’t actually make sense or is just too far-fetched, and the sooner you find that out the better! Read your whole story out loud to check for a natural, easy flow of ideas, in the characters’ vernacular and voice, and suit the tone, mood, and situation. This should also help you cut down on wordiness, which is your enemy, as it could put your readers to sleep. The more you’re aware and the more advance work you do, the less you’ll pay for editing. And don’t seek out the cheapest editor you can find, as they may be just starting out and unaware of important fiction-writing issues that should be addressed, like point of view and showing instead of telling, etc. And whatever you do, don’t tie the editor’s hands by insisting your manuscript only needs a light edit, because that’s cheaper. You could well end up paying for that “cheap” light edit on an overlong, weak manuscript, then discovering that the story has big issues that need to be addressed and requires major revisions, including slashing and rewriting. Then you’ll have to pay for another complete edit of the new version! $$ multiplied! ~ How to Slash Your Word Count by 20-40% …and tighten up your story without losing any of the good stuff!